Frederick S. Yang is a partner with Hart Research Associates and founding principal of its political division—Garin-Hart-Yang Research Group. Mr. Yang counts several U.S. senators as his clients, including Maryland’s Ben Cardin and Pennsylvania’s Bob Casey. Mr. Yang also is the pollster for numerous members of the U.S. House of Representatives, ranging from veterans like New Jersey’s Bill Pascrell, Jr., to new faces such as Virginia’s Jennifer Wexton and Elaine Luria and Pennsylvania’s Madeleine Dean. Mr. Yang’s CURRENT political clients include Attorney General William Tong (Connecticut); Attorney General Andy Beshear (Kentucky); Attorney General Brian Frosh (Maryland); State Auditor Nicole Galloway (Missouri), as well as the mayors of Los Angeles (Eric Garcetti), Milwaukee (Tom Barrett), Washington, D.C. (Muriel Bowser), and Jersey City (Steve Fulop). 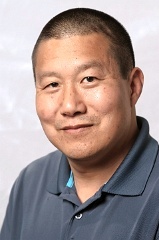 Mr. Yang is a regular contributor to network and cable television news programs such as MSNBC’s “MTP Daily,” and he has been part of NBC News coverage of the national election returns since 2008. Currently, Mr. Yang collaborates with Republican pollster Bill McInturff on the monthly NBC News/Wall Street Journal national survey, which is widely regarded as a barometer of American opinion. Mr. Yang, a Phi Beta Kappa graduate of Stanford University, got his start in politics at age 14, when he worked in his state assemblyman’s district office. Prior to joining Hart Research, he worked on several political campaigns in a variety of roles, from precinct walker to field coordinator. Mr. Yang and his wife Laurie are the proud parents of Grace, Olivia, and Natalie. Courtney Couillard is Fred Yang’s research associate.